← ZeroHedge: What If Russiagate Is The New WMDs? The post Watch Out California! 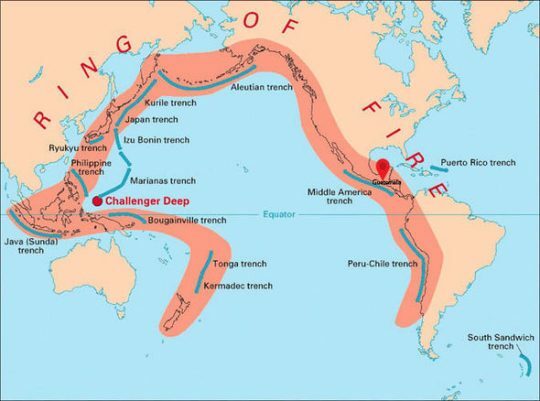 53 Major Earthquakes (Including A Magnitude 8.2) Just Hit The Ring Of Fire In A 24 Hour Period appeared first on The Economic Collapse. This article was posted in California, Commentary, disasters, Earthquakes, Earthquakes Increasing, quakes, Seismic Activity, Seismic Activity Increasing, The West Coast. Bookmark the permalink. Follow comments with the RSS feed for this post.Comments are closed, but you can leave a trackback: Trackback URL.